I could not have dreamed that the weekend would have turned out like it did. In a word, PERFECTION! 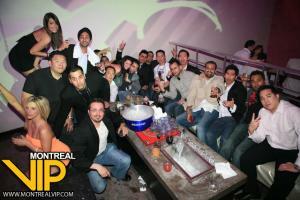 Great host; he catered to our every need I will use Montreal VIP for all my future outings to Canada. If you want to feel like royalty use them. I can’t wait till the end of the summer when I return to Montreal. Thanks for making it one of the best times I’ve had.